On a day-long visit to Boston today, U.S. Secretary of Education Arne Duncan will be holding a round-table discussion about school-community partnerships at the Josiah Quincy Elementary School in Boston’s Chinatown neighborhood. 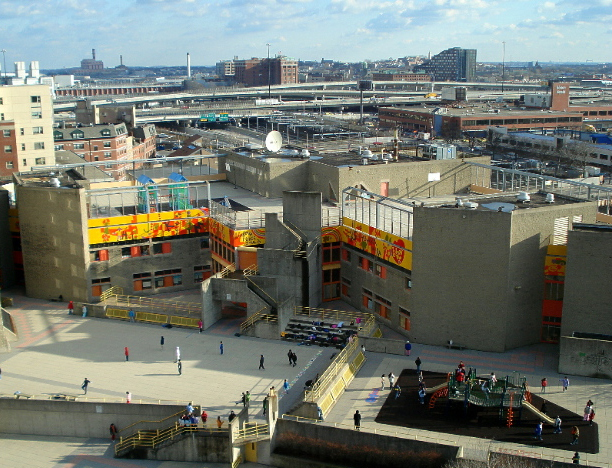 The Quincy school is one of City Connects’ largest elementary schools with nearly 800 students and two site coordinators. Mary E. Walsh, executive director of CCNX and the Kearns Professor of Urban Education and Innovative Leadership at Boston College, and Pat DiNatale, CCNX director of implementation, will be representing City Connects in the discussion, which will also be attended by Boston Mayor Thomas Menino and Superintendent Carol R. Johnson. Following the discussion, second- and third-grade Quincy students are scheduled to perform a traditional dance in honor of Asian-Pacific American Heritage Month. Secretary Duncan is also planning to pay tribute to Boston Educators of the Year as part of a discussion with them about effective strategies for academic success.